However, these people are external people, and you might need to control those user accounts (because of legislation regulations or just because that’s a good idea). One of the options is to disable those user accounts every day. As the number of users and groups grows, this can become a challenging and annoying task… After a short while, every admin will realize that it is hard to persevere because it will quickly become chaotic. First of all, you need to create 2 text files in the same directory as where the tool is installed. You can choose the filename of these textfiles, but for clarity, I will call them "users2disable.txt" and "users2ignore.txt"
For users, the object code is U. When specifying users, don’t use the "recursive" field, and don’t use a semi-colon at the end. You can use a DisplayName, a sAMAccountName, or a distinguished name (starting with LDAP://) to refer to a user account. For groups, the object code is G. When specifying users, you can optionally specify ";true" (without the quotes) as a third field. This will also process any member groups (and their members) in the current group. You can use a DisplayName, a sAMAccountName or a distinguished name (starting with LDAP://) to refer to a group. In this example, user "peter.vaneeckhoutte" will be disabled, user "Partner1" will be disabled, and all members in group "Partners B" will be disabled, including members of any nested child groups within the "Partners B" group. As you can see, you can only specify one entry per line. Make sure to pick your user and group definitions in such a way that the tool can only find 1 object that matches with the entry. If not, the tool will use the first match, so this might result in unwanted behavior. As you can see, only the input file "disable_entries.txt" is mandatory. The ignore file is optional, and so is the –execute parameter. Without specifying this parameter, nothing will happen to AD. The tool will run in simulation mode, so you can see what it will do when running with the –execute parameter turned on. This allows you to test, or to prevent disasters when you run the tool without paying attention. So keep in mind : by default, the tool will run in simulation mode. If you do not specify –execute, nothing will happen. The script automatically creates a log file, prefixed with the name of the month. The current version (starting from v1.0.0.136) will remove all log files older than 6 months automatically. 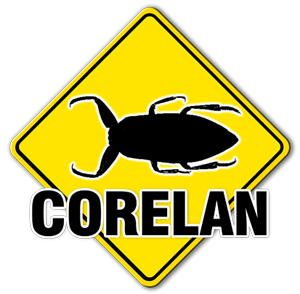 © 2007 – 2009, Corelan Team (corelanc0d3r). All rights reserved.